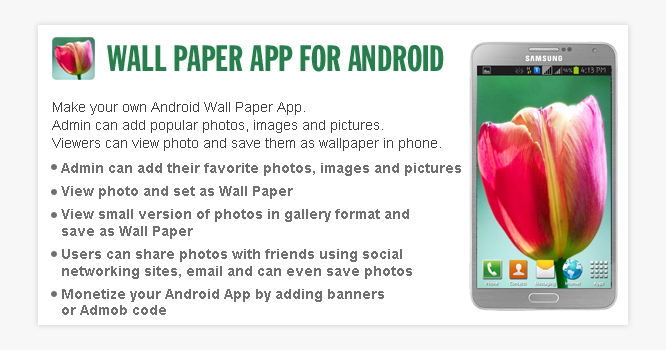 Make your own Android Wall Paper App. Admin can add popular photos, images and pictures. Viewers can view photo and save them as wallpaper in phone.